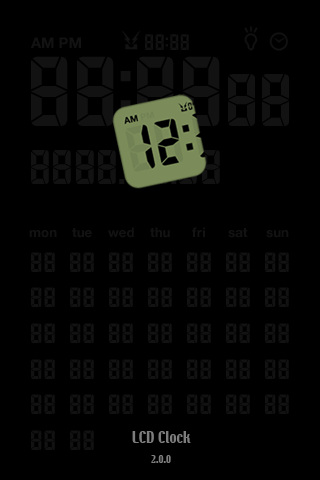 LockInfo, a feature-packed lockscreen mod, was recently updated to version 1.0.114. The update adds quite a few new features…. some of which are pretty cool. The update adds a pop-up blocker option in the settings that allows you to block pop-ups on the lockscreen. Another cool change is that the mod will now display the full text messages. In the previous version it would only display the first line of the message and then give you a nice …. There are quite a few other new features and updates… check out the full change log below. 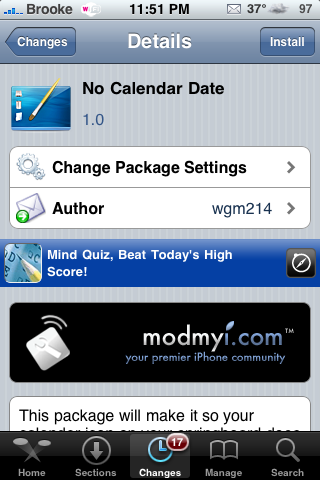 You can get LockInfo via the modmyi source. 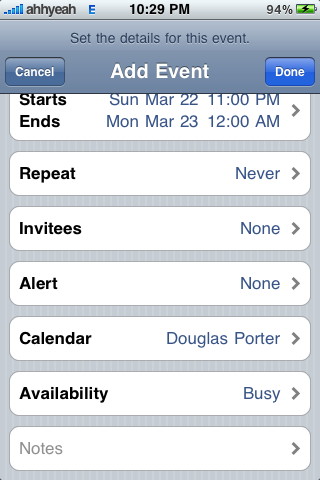 Birthday Cal Push is an application that will put your Contacts’ birthday’s into your stock Calendar application. I was actually totally stoked to see this application. As far as I know, this is the first app of this type. The Calendar application for firmware 3.0 didn’t have a lot of changes but there are some pretty important ones. Starting with the ability to add Invitees to your event. Just tap it and it lets you pick from your contact list. Next is Availability. This shows if you are busy, free, tentative or out of office. 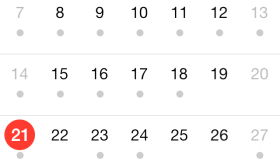 These two little feature make Calendar a little nicer, but there’s one more. A pretty big feature is the ability to search. At the top of “list view” there is a search box. Just start typing and it will show you results. This is all very useful to those of you using your iPhone for business. Overall the app stayed pretty much the same with some new features. Let me know in the comments what else you think the Calendar App should have as features. It’s about time!!!! 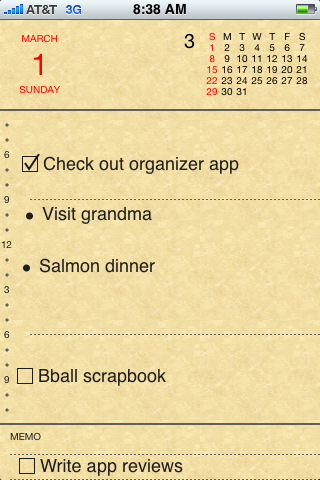 You can now sync your iPhone or iPod Touch with your Google Calendar and Gmail’s contacts. You’re going to want to export all your contacts on your iPhone first so you can import them into Gmail. Otherwise Gmail will write over them the first time. Same thing with your calendar. I’m going to test this out tonight and let you know how it goes but I gotta get to my computer to back up my contacts and calendar first. Here’s a video from Google on how it works and you can learn more about setting it up at here. 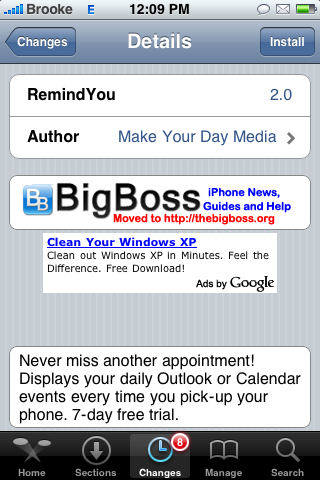 Many of you may remember RemindYou, a lock screen calendar app, from firmware 1.1.4 and below. It seems the app has made it’s way to the 2.x firmware. However, this time I can actually get it to work which is nice because with firmware 1.1.4 and below we could never get this application to work for us. When you open the application, you will get a list of Settings. Here you are able to change things like; font, font size, font color, 24 hour time, dim wallpaper…etc. However, I can’t seem to get a few of the settings to work. Any setting with an arrow next to it will not launch. This includes; Font, Font Color and Registration. All of the other Settings work just fine. 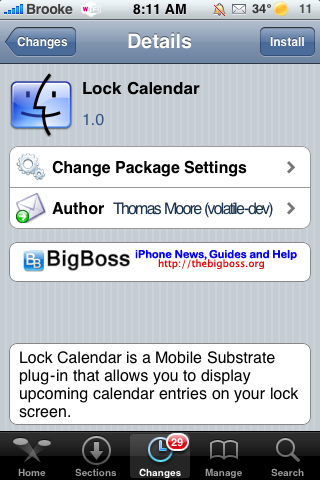 LockDockBar is an application that allows you to launch your Phone, Mail, SMS and Calendar apps from your lock screen. When you install LockDockBar, it will automatically add the icons to your lock screen (it does not add an icon for the app to your SpringBoard). You can then launch and use any of the four application right from your lock screen. Once you are finished using any of the apps, you will be brought back to your lock screen. If you select the Home button at any point while using the apps, you will also be brought back to your lock screen. It also displays a badge on the icons (on the lock screen) indicating if you have any missed calls, texts and/or any new email.